Data Science has become one of the hottest fields in technology. Firms worldwide are scrambling to find developers with data science skills to work on projects ranging from social media marketing to machine learning, but the prerequisite knowledge and experience for this career can seem bewildering. 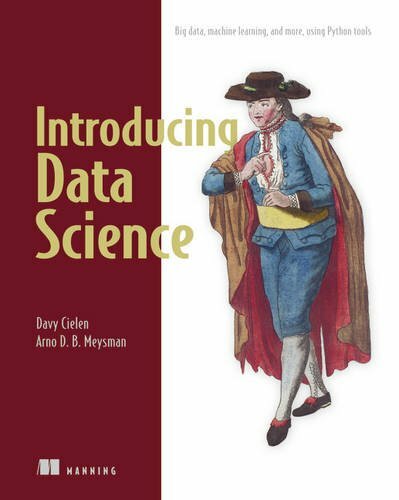 This book is designed to help anyone who wants to learn more about data science get started. Introducing Data Science teaches readers how to accomplish the fundamental tasks that occupy data scientists. They'll use the Python language and common Python libraries as they experience firsthand the challenges of dealing with data at scale. They'll discover how Python allows them to gain insights from huge data sets that need to be stored on multiple machines, or for data moving at such speed no single machine can handle it. After reading this book, readers will have a solid foundation to consider a career in data science.